Getting a PhD wasn’t part of Tanya’s long-term plan when she started as an undergrad at Wharton. She initially aspired to work as a data scientist or analyst but soon fell in love with data in a whole different way through a research assistantship. When Tanya Paul started as an undergrad at Wharton, getting a PhD wasn’t part of her long-term plan. She initially aspired to work as a data scientist or analyst but soon fell in love with data in a whole different way through a research assistantship with Andy Wu, GR’15, and David Hsu. Designed specifically for freshmen, this new research position was created to expose undergraduates to scholarly research early on and expand their potential career options. It clicked with Tanya right away. That’s why Tanya also joined the board for the Mack Innovation Doctoral Association seminars (MIDAs). “I thought it would be interesting to get involved because innovation is not a very traditional topic in accounting, and it’s likely not something I would get exposed to within the department,” she said. Tanya also met a group of students with similar interests to her and was able to connect on that dimension. “It’s so important to have a program like this because a lot of the students were minorities and females, both underrepresented groups in academia. Being able to attend this program provided that stepping stone in understanding that academia is an option for us and gave us an idea of what it takes to get there,” she said. Some people may think it’s a challenge to get a PhD after being in the workforce because you have to get back into the school mindset. “I’m on the other side of that — going into a doctoral program straight from undergrad presents its own challenges because the classes are fundamentally different,” Tanya said. She discovered studying for a PhD is more open ended with fewer deadlines and requires a different way of thinking. “I’ve had to learn the art of refining my time management skills and structuring my day into segments where I work on different things so that I can track my progress and feel like I’m working toward measurable goals,” she said. How prominent is this phenomena in the real world? What general economic question does this specific setting answer? These are both questions that Tanya has learned to think about whenever thinking of a topic. Right now, Tanya is working on a joint project with a faculty member focused on understanding how banks affect their borrowers’ information environment. 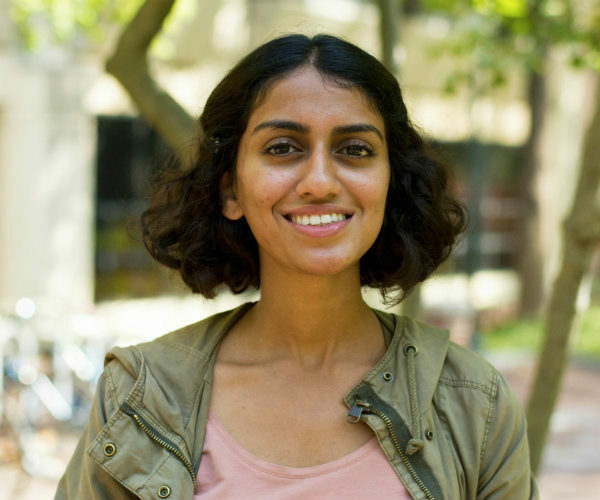 “One of the main reasons I chose Wharton was because the faculty in the accounting department are very enthusiastic, active in research, and work closely with PhDs on projects,” she said.